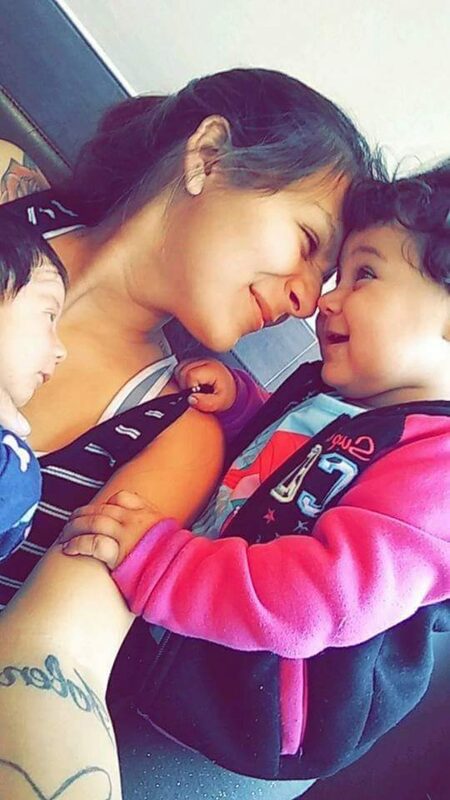 Delilah Ayala and her daughters. Photo courtesy of Rudy Ayala. Rudy Ayala got a call from his daughter’s mother early one morning last July. She said one of their children, 22-year-old Delilah Ayala, had been shot. 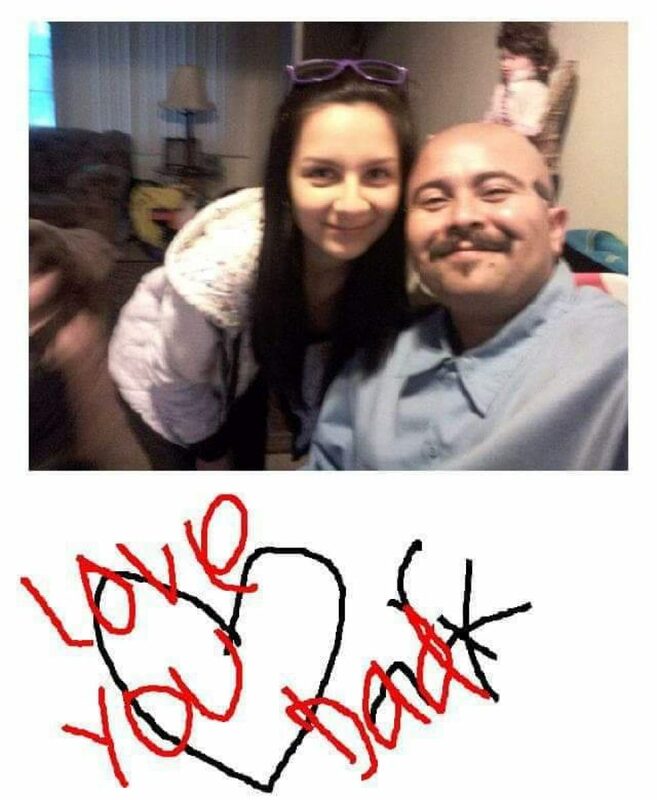 Delilah Ayala and her Dad, Rudy Ayala with a note from Delilah at the bottom. Photo courtesy of Rudy Ayala. Rudy, who lives in Oxnard, still couldn’t believe what had happened until he pulled up a news story saying that a man and woman were shot in Long Beach’s Hellman neighborhood the night before. Police found Delilah and her boyfriend both shot in the torso shortly after 11 p.m. on July 8, 2018, in front of a house on Hoffman Avenue near 10th Street. Paramedics took the two to a local hospital where Delilah died. Her boyfriend survived. Detectives haven’t found any leads in the six months since, police said. But they think the shooting was gang-related, meaning they suspect it was directed by or somehow benefited a local gang. Delilah fell into a bad crowd after she moved to Long Beach from Oxnard with her mom when she was about 12, her dad said. She and her boyfriend started dating nearly four years ago and had two kids together. She worked two jobs to support her daughters. “I just know she wanted to be a good mom to her kids,” Rudy said. Not knowing who killed his daughter has Rudy and his family on edge. 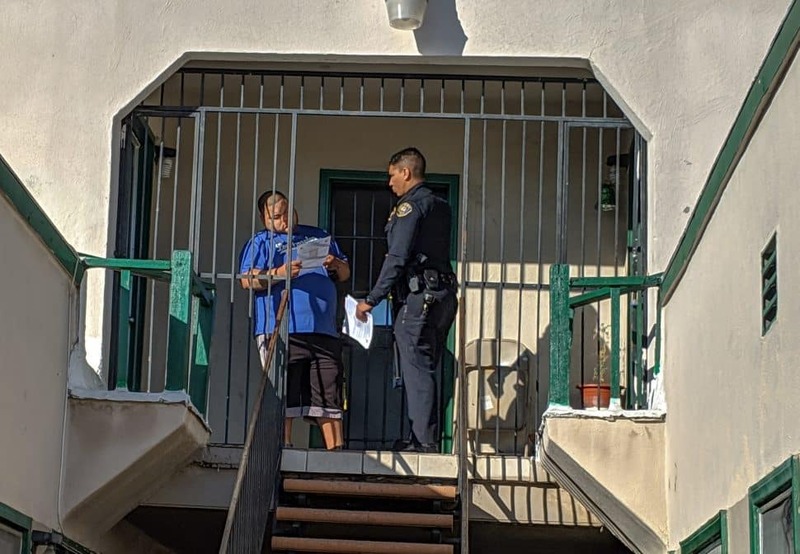 This led him to reach out to the detectives on her case and ask them to help him pass out flyers in the neighborhood on a recent Saturday morning. Rudy was unable to make it from Oxnard because of car troubles, but police officers, two detectives and six volunteers still showed up to pass out the flyers and talk to people in the neighborhood. Long Beach police officer Y. Bouzarif speaks to a resident at an apartment complex on Hoffman Avenue near where Delilah Ayala was shot and killed in July 2018. Detectives are hoping the flyers will encourage witnesses to come forward. Photo by Valerie Osier. Rudy said he’s desperate to get justice for his daughter, and now he faces another problem: he doesn’t know exactly where his two granddaughters are. He can’t seem to get in touch with their father or his family, who may be caring for the two girls, who are ages 3 and almost 2. But he’s not giving up on seeing them again, or on finding the killer. Police ask anyone with information about the shooting to call homicide detectives at 562-570-7244.